[PDF] Thinking Beyond Sectors for Sustainable Development | Free eBooks Download - EBOOKEE! 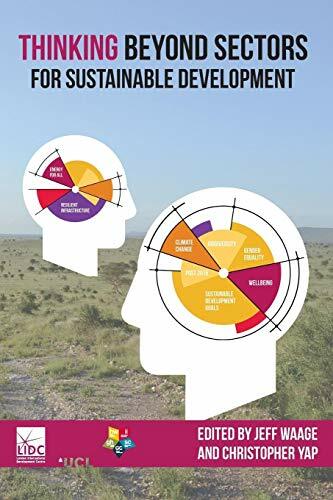 Description: "This book brings together a series of working papers, produced by interdisciplinary groups of academics within the project, on progress made under the Millennium Development Goals and introduces current debates surrounding the Sustainable Development Goals and the post-2015 agenda. Originating from an interdisciplinary, multi-institution research collaboration, Thinking Beyond Sectors for Sustainable Development, funded by UCL Grand Challenges. The project brought together over thirty academics from UCL, SOAS, London School of Hygiene and Tropical Medicine, Birkbeck, Institute of Education, and the Royal Veterinary College, and was coordinated by the London International Development Centre (LIDC). The book explores potential interactions between sustainable development goals in the post-2015 development agenda. Introduced and edited by Prof Jeff Waage (LIDC) and Christopher Yap (LIDC), chapters are dedicated to the topics of Biodiversity and Ecosystems, Human Health, Urban Poverty, Climate and Climate Change, Population Growth, Food and Agriculture, Information, Education and Knowledge, and Governance. Each chapter reflects on the three principle questions of 1) What is the historical process by which goal setting in this sector has developed?, 2) What progress has been achieved with this sector through MDGs and other processes? and 3) What is the current debate about future goal setting?" No comments for "[PDF] Thinking Beyond Sectors for Sustainable Development".